An event that honors and empowers Small Businesses in our parish! 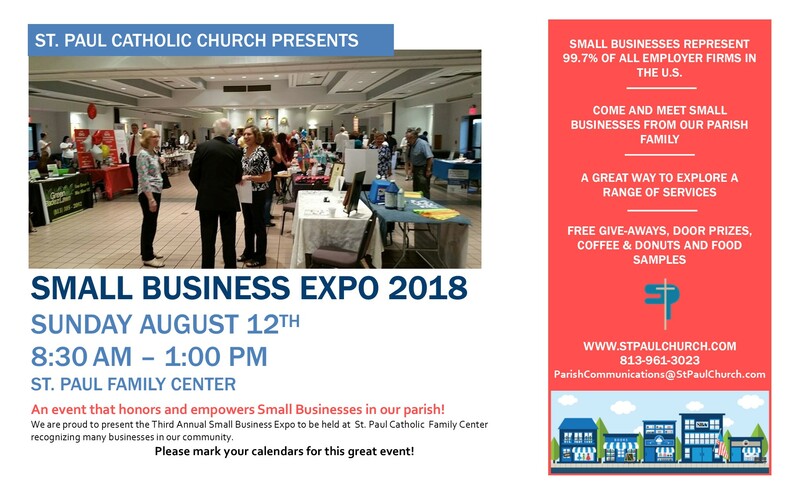 We are proud to present the Third Annual Small Business Expo to be held at St. Paul Catholic Church Family Center recognizing many businesses in our community. Please mark your calendars. Small Businesses represent 99.7% of all employer firms in the U.S.